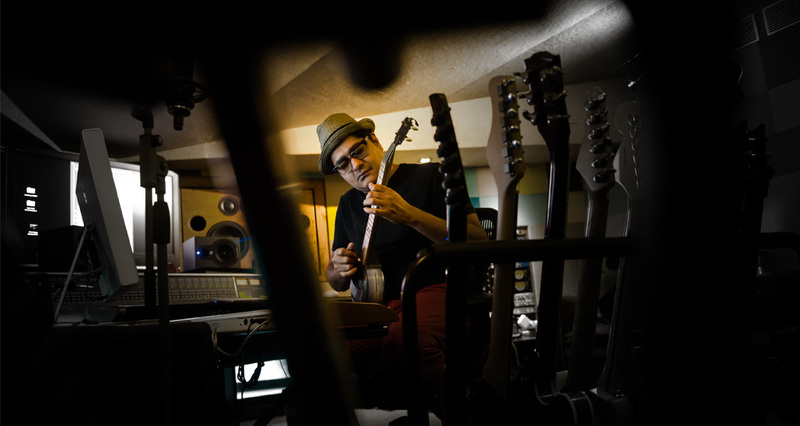 Dhruv Ghanekar is a Composer, Producer and highly respected Guitar player based in Mumbai, India. As a Guitar player he has attended MI (Calif) and Berklee College on scholarship. He has performed at many leading festivals around the world as a leader of his band "Dhruv"
As a Composer he has delivered over 3500 commercials, many of which have won awards in India and abroad. He has scored many chart busting hits for movies i.e. - Bombay Boys, Drona, Snip, White Noise... He has also scored a ton of music for Television including the prestigious BBC 1 - UK, Star TV, PIX, SONY and many more. He has released his first solo album "Distance" in 2008 to a lot of critical acclaim.